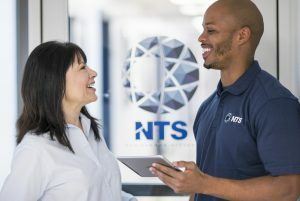 NTS in Chambly, Quebec is seeking a Dynamics or Climatic Test Engineer to conduct test programs in close coordination with test departments, managers, and technical and support personnel. Must have a certificate or degree in a technical engineering discipline (aerospace, mechanical, electrical, physics) and a minimum of 1-5 years of testing experience in any of the following: Dynamics (shock/vibration), Climatic (thermal shock, humidity, temperature, salt, fog, mechanical). We will consider a recent graduate with internship or coursework experience in any of the following: Dynamics (shock/vibration), Climatic (thermal shock, humidity, temperature, salt, fog, mechanical). We will also consider and experienced Test Technician with related experience, in lieu of a degree or certificate. 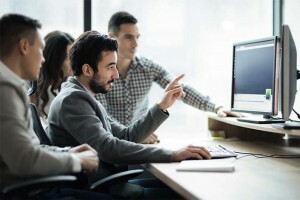 •	BS degree in relevant technical discipline is required, such as Mechanical, Electrical, Physics, Aerospace (Mechanical or Electrical Engineering preferred). •	A minimum of 1-5 years of testing experience in any of the following: Dynamics (shock/vibration), Climatic (thermal shock, humidity, temperature, salt, fog, mechanical) OR we will consider a recent graduate with internship or coursework experience in any of the following: Dynamics (shock/vibration), Climatic (thermal shock, humidity, temperature, salt, fog, mechanical) OR we will consider an experienced Test Technician with 3-5 years of related experience, in lieu of a degree or certificate. •	Work well in a team environment. •	Extended working hours may be required periodically to meet testing deadlines.